This page states the “Terms & Conditions of Use” under which customers and users (collectively “Users”) may use www.ostpt.com and other websites under the Company’s control (whether partial or otherwise). Access to this website and the use of information on it is subject to these Terms & Conditions of Use. You should carefully read these Terms & Conditions of Use. By proceeding further, you will be deemed to have accepted them. For any disputes of payment, please contact the administrator at 920-257-2000. “we” and “our” and “us” represents Orthopedic & Spine Therapy (OST). Orthopedic & Spine Therapy has created this privacy statement in order to demonstrate our firm commitment to privacy. The following discloses our information regarding gathering and dissemination practices for the website: www.ostpt.com. Your health information is protected by strict guidelines. There are instances when we need to release this information to a third party. We collect anonymous information from visits to our site to help us understand the usage patterns of our site, and to provide better customer service. Information collected in this manner is provided automatically by your system and the systems that you use to connect to our site. For example, we keep track of what time people enter our site, how long they stay on the site, and what areas they visit on the site. This information is kept in aggregate, anonymous format. We use this information to better tailor our site for our visitors and their usage patterns, as well as to gauge performance and other measures of the site, again in anonymous and aggregate format. Cookies are sometimes used to further track usage patterns of the site by users, in aggregate and anonymous format. Cookies left on your system by our site are sometimes used for the purpose of allowing users the convenience of not having to re-enter usernames and passwords on our site, however, no username or password information is kept on your local machine. Only a unique identifier is kept on your system that will allow you to access the records stored on our secure, password-protected server(s) and allow wine club members the ability to receive all discounts due them. No financial or personal information will ever be left on your system in the form of a cookie. 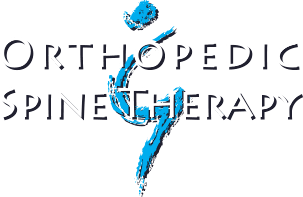 From time to time, Orthopedic & Spine Therapy will contact our registered users who have opted in to be e-mailed with promotional information that we feel would be applicable to, and desired by that user. At any time a user wishes to opt-out of these e-mails, they may do so by contacting 920-257-2000. Once opted-out, the user will not receive any further communication from us, aside from any system messages that are necessary to that user in specific transactions, such as e-commerce order summaries. Please allow fourteen (14) days to be successfully removed. Further use of personal information and data gathered by Orthopedic & Spine Therapy will occasionally utilize partners and vendors to assist it in analysis of the data and information collected by our sites. This information is used in aggregate and anonymous format for the purpose of better tailoring our website, promotions or other company endeavors to better suit our user base. This information is shared with our partners and vendors only on an as-needed basis. Financial information will never be shared with any organization other than those necessary for completing the financial transaction required. Your personal information and data gathered solely by Orthopedic & Spine Therapy will never be sold, traded or shared with third-parties for any other reason other than for assisting Orthopedic & Spine Therapy in its analysis, research and promotional needs. This site may contain links to other sites. Orthopedic & Spine Therapy is not responsible for the privacy practices or the content of such websites. Access, tamper with, or use nonpublic areas of ostpt.com Site or Orthopedic & Spine Therapy’s computer systems. Unauthorized individuals attempting to access or tamper with these areas may be subject to prosecution. Frame or link to the ostpt.com Site except as permitted in writing by ostpt.com. OSTPT.com shall be excused from performance under this Terms of Service if OSTPT.com is prevented, forbidden or delayed from performing, or omits to perform, any act or requirement under this Terms of Service by reason of: (a) any provision of any present or future law or regulation or order of the United States of America, or any state thereof, (b) any act or omission of a third party, or (c) any act of God, emergency condition, war, computer or telecommunications failure or other circumstance beyond the control of OSTPT.com. The following provisions shall survive any termination of these Terms of Service: No Warranty from OSTPT.com, Limitation of Liability, Indemnity and General Provisions. If you have any questions about these Terms of Service, please contact us at (920) 257-2000. The Terms of Service were updated March 2015. ALL SALES / PAYMENTS ARE FINAL. For information, please contact us at 920-257-2000.